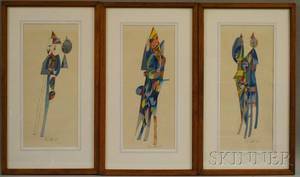 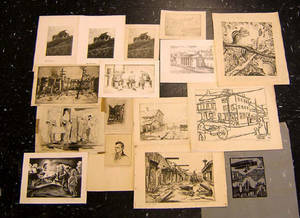 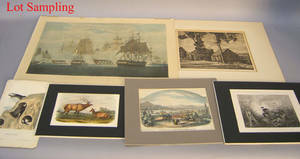 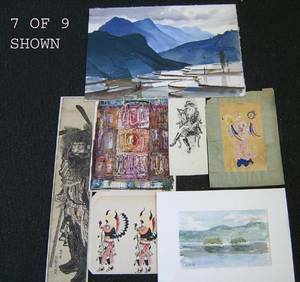 Nine watercolor and ink works to include examples by Edward Dodd, John Hanlen, and Sawin. 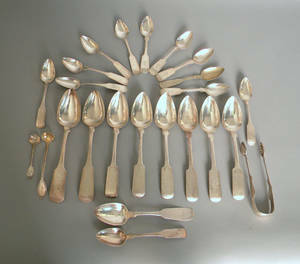 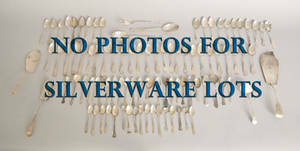 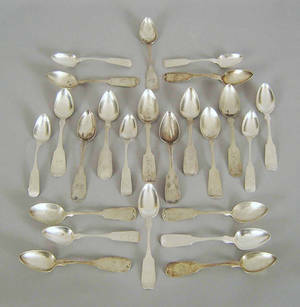 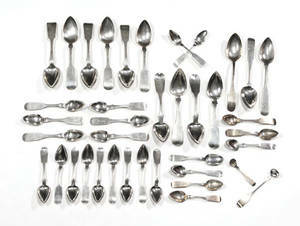 Group of silver and plated flatware to include examples by J. 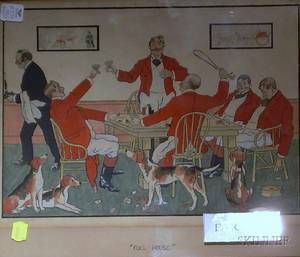 Smart and W. Baily.